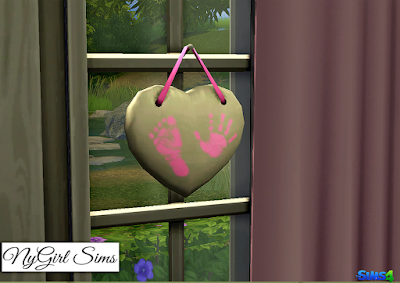 Was in need of some baby room wall decor so I did a conversion of the TS3 baby imprint heart. 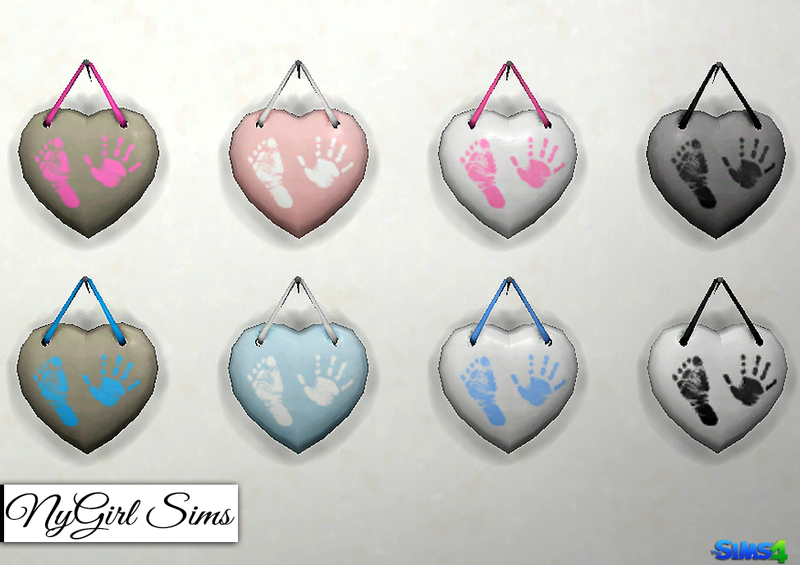 Made from TS3 textures. Conversion by me. 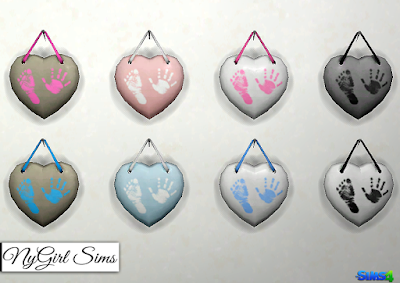 Comes in 8 presets.